The competitive spirit found in most young boys is apparent as a small group of fifth and sixth graders sit together after school in a classroom at Cathedral Academy at Pompei in Syracuse, NY. They’re quietly trying to impress each other with their skills, but the conversation is not about sports or even academics. They’re comparing notes about their progress — on the cello. The boys belt out their best version of “Mary Had a Little Lamb” and the start-and-stop beginnings of a few carols for an upcoming Christmas concert. Each is clearly impressed with the others’ accomplishments, and why not? This group only began playing their oversized instruments a few months ago, but already their talents are beginning to shine. These budding musicians are just a few of the 68 in grades one through six who participate in the newly instituted Imagine Syracuse Young Musicians Program at CAP. The program provides after-school enrichment in music and the arts to underserved children in the Syracuse community and is based on El Sistema, a visionary global movement started in Venezuela that transforms the lives of children through music. CAP students enrolled in the program receive free musical instructions every day after school, complete with the use of instruments donated through a grant from Music and Arts, a national retail music and instrument chain. Many of the instructors are former members of the Syracuse Symphony Orchestra, graduate students from Syracuse University, well-known Suzuki instructors, and other dedicated musicians from the Central New York community. Roughly 70 percent of CAP students come from refugee families — a group that truly appreciates the educational opportunities available at the school and often make great sacrifices to keep their children enrolled. 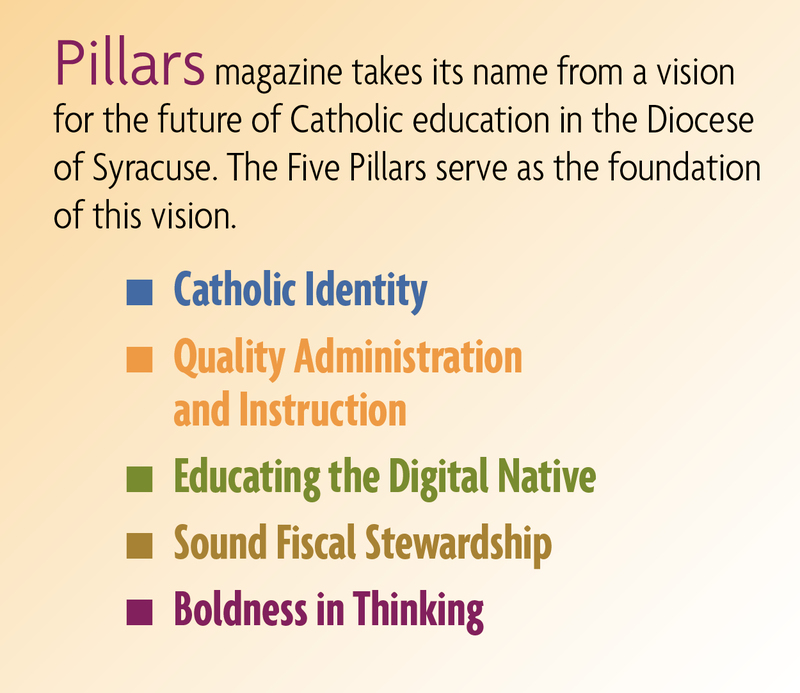 This population fits the mission of Imagine Syracuse and made CAP an attractive choice for a pilot program after finding the red tape of the Syracuse City Public School District difficult to negotiate. A vocalist, professional musician and former education manager of the Syracuse Symphony Orchestra, Music Director Bob Allen was sold on the El Sistema program from the first time he heard about it several years ago. “I was intrigued by the idea of using classical orchestral music training to strengthen inner city education and help children build better lives and healthy communities,” said Allen. 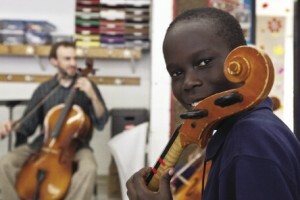 Students at CAP receive two hours of free music lessons each day through the Imagine Syracuse Young Musicians Program. The program at CAP is taught in 45 minute blocks for two hours each day with students receiving instruction in small groups broken down by grade level. Snacks, friendship, dance and movement are also a part of each day and keep students motivated and enthused while fostering an unmistakable sense of camaraderie at the school. The CAP students have an obvious enthusiasm for the program. 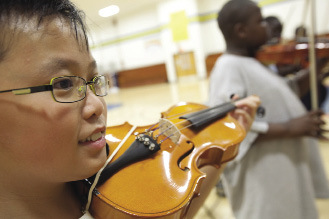 “I LOVE playing the violin because we can play whatever songs we want, and I really can’t wait to come here after school,” said Nyachido Madit, a sixth grader. “It’s the best,” said first grader Chol Mo, who plays the flute. Clearly, the students take pride in having instruments in their hands — something many of them would never have the opportunity to pursue on their own — and thrive on the encouragement and accomplishments they receive through the caring individuals who run the program.